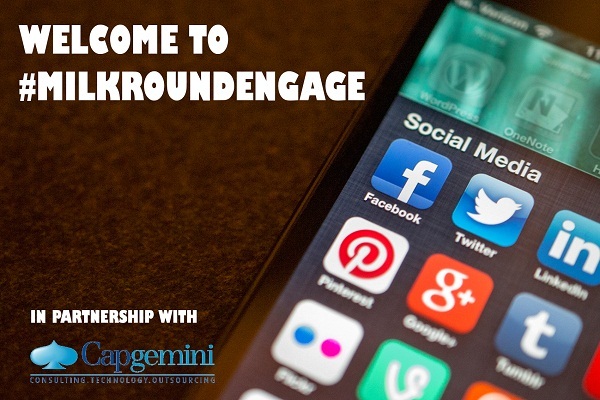 Between 12-2pm on Thursday, 30th July we hosted our first #MilkroundEngage on Twitter with featured recruiter Capgemini. With almost 140,000 people in over 40 countries, Capgemini work together to explore critical business challenges and shape innovative solutions. The technology they execute delivers results, and the way they deliver it sets them apart. To see the candidate’s answers, head to our round up piece. With nearly 100 mentions and a reach of 20,000 in two hours, it’s safe to say that social media remains to be an important tool to engage with the youth market and to promote opportunities. If you are interested in joining Milkround for our monthly #MilkroundEngage takeover and would like to get students and graduates talking about your brand, contact us! Next Next post: Coming soon- the Milkround App!